This pack contains over 1000 professionally produced (from scratch) percussion samples, which are ready to use in a sampler supporting PCM WAV files. 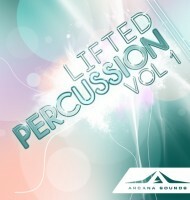 Within the pack you will find a wide range of percussion sounds from various acoustic sources which have then been processed using various granular techniques keeping the original raw character of the sound allowing great flexibility! 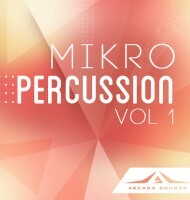 Our MiKro Percussion pack contains over 1000 professionally produced (from scratch) samples, which are ready to use in a sampler supporting PCM WAV files. You’ll find a wide selection of percussion sounds and elements in this pack as well as a bonus selection of loops form our upcoming MiKro Loops pack. Our MiKro series is focused towards the Minimal/Neo Trance styles but could work just as well in other genres to bring interesting dynamics to your productions. 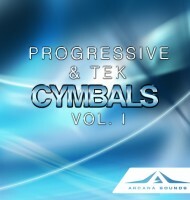 Progressive & Tek Cymbals is a massive collection of various cymbal sounds; closed hihats, open hihats, crashes etc. This pack contains over 800 original samples made from scratch using real & synthesized sound sources. These samples are aimed to fit best in your Progressive House, Tek House & Trance productions. Distinct ready to use sounds, all sorted by well defined categories! This pack contains 200 professionally produced kick drum samples which are ready to use in a sampler supporting PCM WAV files. We believe the kick is the most fundamental part of a track which is why each kick has been produced from scratch making them full bodied and perfectly clean. This pack contains over 700 professionally produced kick drum samples which are ready to use in a sampler supporting PCM WAV files. 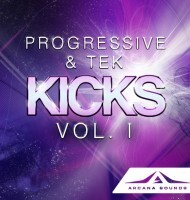 Following on from our Progressive & Tek Kicks – Volume One; this pack contains more variety of style now with a more rounded sound – this pack would favor those producing Proglift or more edgy progressive sounds, but will work in other styles as well. 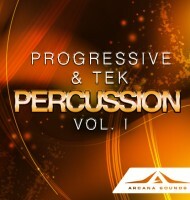 The Progressive & Tek Percussion pack contains over 1000 professionally produced (from scratch) samples, which are ready to use in a sampler supporting PCM WAV files. You’ll find a wide selection of percussion sounds and elements in this pack as well as some useful bonus content to help push your creativity even further! Our Trance Kicks ReBorn pack contains over 70 professionally produced (from scratch) samples, which are ready to use in a sampler supporting PCM WAV files. Within this pack you’ll find 26 professionally produced kick drums based on the more ‘classic’ sound, each with two edits containing different rim shots to give the kick sample a fresh dynamic. With this pack you’ll be able to achieve that more classic sound, but have the full benefits of a modern kick processing. 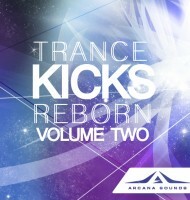 After many requests for a follow on pack we are proud to present to you the second volume in our ReBorn kicks series! The pack is divided into two sections; 'Harder' and 'Softer'. Within each section there is over 50 original kicks with two additional edits with a combined total of 330 samples, all of which are ready to use in a sampler supporting PCM WAV files. The samples work great in Proglift and Uplifting projects, and with such a selection to choose from you'll certain find the right ones for your projects! 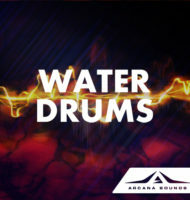 We are proud to present the most unusual Arcana Sounds samplepack to date! Experimental percussion made out of water splashes, drop sounds, various objects falling into and sinking in water, resonating hits of different containers floating on the water surface and much more. All processed with granular synthesis to become surprisingly fresh sounding drum-like sounds & exciting glitchy fx’s. 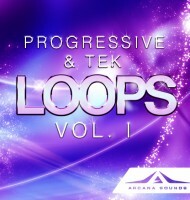 This pack will certainly bring new flavors to everything from trap & dnb to house & progressive trance!